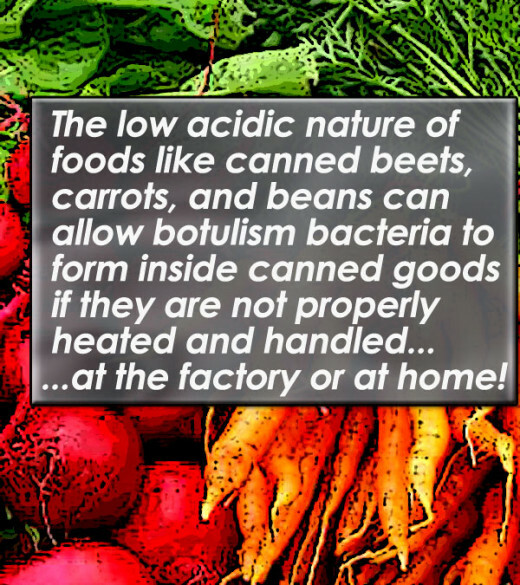 All forms of botulism are Medical Emergencies! 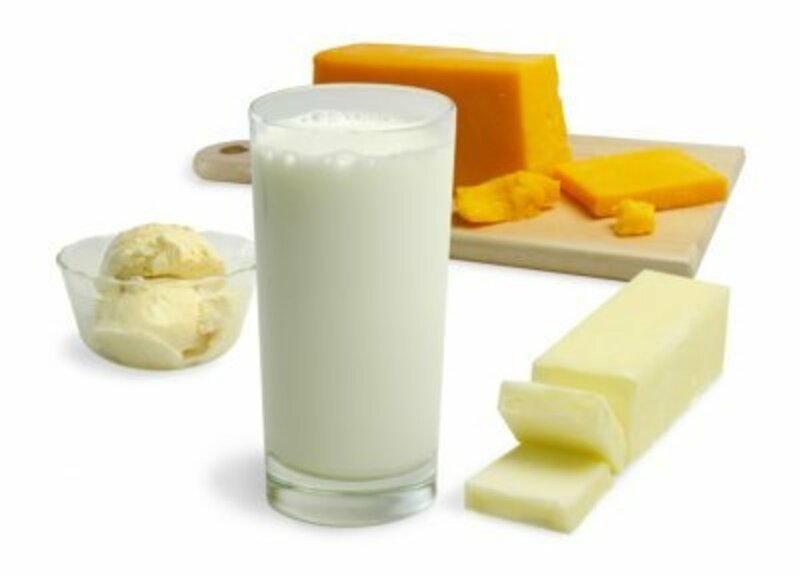 Foodborne Botulism: Cause by consuming foods with the botulinum toxin. Wound Botulism: Caused by toxins that are made from a wound that is infected with clostridium botulism. Infant Botulism: Caused by eating spores of botulinum bacteria, which then grow in the intestines and release toxins. Adult Intestinal Toxemia Botulism: Very rare, but occurs in adults in the same way as infants. Iatrogenic Botulism: Caused by an accidental overdose of botulinum toxin. Botulism is a neurotoxin produced by Clostridium botulinum, which is an anaerobic (does not need oxygen for growth) bacteria. It is rooted in the Latin "botulus" which means sausage. This is due to claims that (some say) began with tainted German sausages, but most likely because the botulism spores resemble the sausage shape. 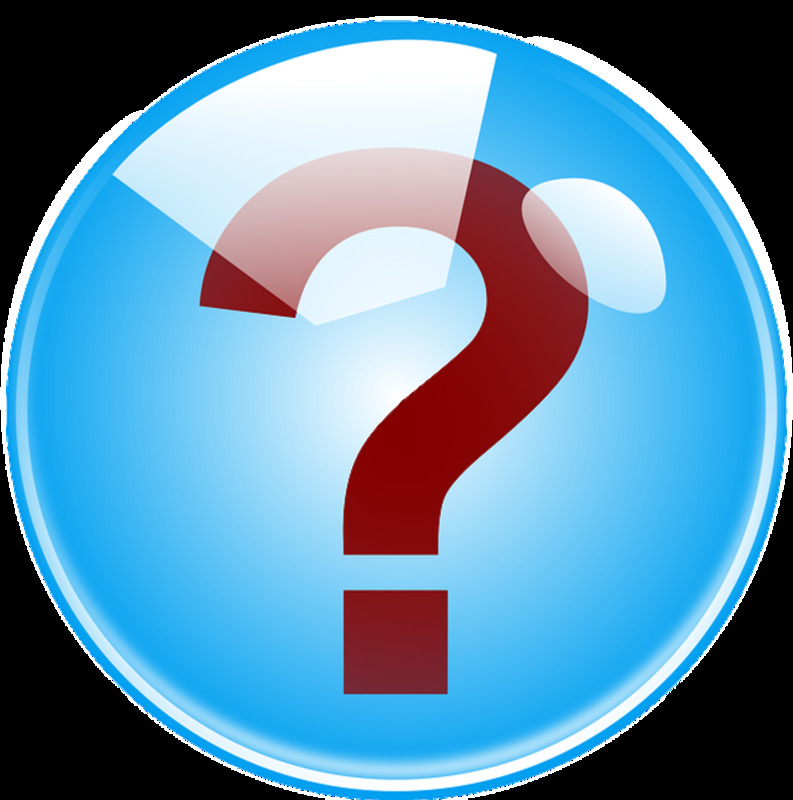 There are several forms of botulin, noted from A to G; but A, B, E, and F are the only listed forms that are of particular concern and danger to humans. In the good old days, botulism was that thing that your parents worried about when cutting open a can of chilli that was past its serve-by date. In our current century, however, it is a miracle treatment for those who refuse to live with their well earned and respectable weathered skin. Yep,...no concern is given to the fact that botulism has been called the most poisonous substance known to man by the American Medical Association. The importance of fewer age lines continues to outweigh the fear of botulinum toxin A. 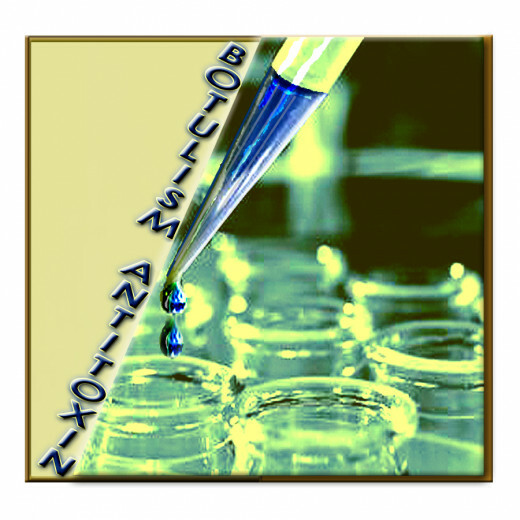 Granted BOTOX—the trade name for botulinum toxin-A as manufactured by Allergan, Inc.—isn't actually botulism. 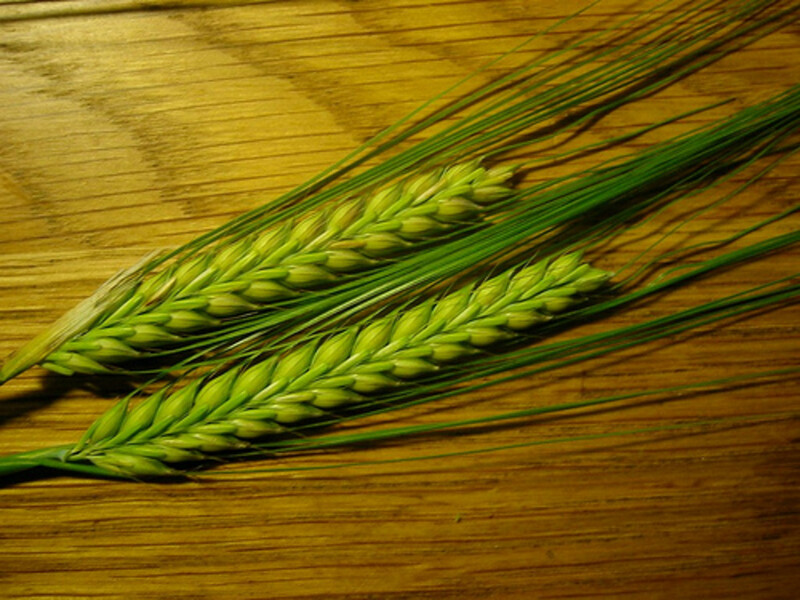 It does have the exact same toxin, but it has been diluted significantly. BOTOX works pretty much the same as does the deadly bacteria, by paralyzing facial muscles so they will stay firm and thus, younger looking. BOTOX is actually deemed pretty darn safe. Unless you insist upon acquiring your treatments from a doctor who works out of his clinic which is set up in some strange dark back-alley, everything should go as smooth as your skin will end up following the treatment itself. The bacteria that is responsible for botulism lives in the ground in every direction and probably where you are standing right now. It resides as a harmless spore until it is harvested along with your green beans, corn, beets or spinach then rushed off to the factory for canning and then to your local market. (It's also found to live in preserved meat and fish, but really enjoys hanging out with those low acidic vegetables listed here). Once placed in airless conditions, they spring to life, and just in time to attack your canned food eating family! Six Hours to Ten Days To Launch - In as few as six hours of eating contaminated food, botulism symptoms can show up. However, usually you won't know you are being attacked until two or three days later (and as many as ten). 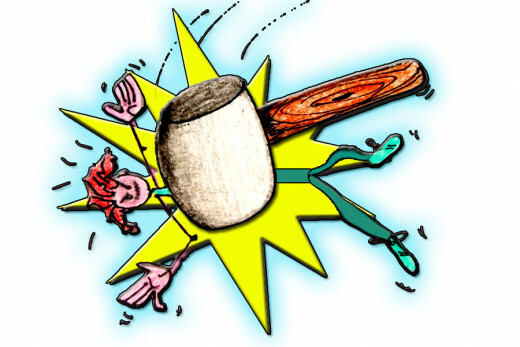 At which time it will feel like you have just been whacked by a cartoon-sized sledgehammer. This toxin attaches itself to your nerve endings, which will stop the brain from being able to manage your muscular contractions. It will be very evident that something has gone very wrong inside your body. The spores associated with this deadly disease reanimate in airless environments (like canned goods), as they are anaerobic elements. Once they have been awakened, the spores form the toxin referred to as "botulism." This botulism is the cause of the disease known as foodborne botulism, or the stuff that will probably kill you if consumed. So, even if you are on a strict budget which makes cutting open that tainted can of outdated soup seem to be a prudent choice, consider this; botulism has the ability to wipe out one million humans using as little as a single gram sized dose, and a couple of ounces could put an end to every single person in the good ole' USA. Botulism Drunkenness- The symptoms are going to seem familiar to you, providing you have felt the effects of being really, really, really drunk before. That double blurred vision behind your drooping eyelids will be quite noticeable. Not even placing one foot on the floor is going to stop these symptoms. Your mouth is going to get very dry, and swallowing near impossible, at the same time your speech begins to slur. Vomiting and diarrhea are next-up on the hit-list of overwhelming symptoms. Then, as if this isn't enough, things start to get interesting. You will feel your muscles begin to get weaker and weaker, which is just the beginning of what will soon become complete paralysis of your muscles. The symptoms to follow, are more like something from a Steven King novel than anything else. Botulism Paralysis Sets In - As you remain fully aware of your surroundings, the toxic bacteria sets-up house all over your nerve endings. Which crushes their ability to do anything at all to help you. Your arms, lower legs, and hip girdle begin to seize up, as if they have been super-glued in place. Now, you can sense the tightening in your abdomen and chest, the rise and fall of your breathing grows more shallow as respiratory muscles fail. Breathing becomes difficult, and then non-existent as your breathing tube closes and your lungs can no longer bring in any much needed oxygen. The medical cause of death is asphyxiation. Oh, so before you crack open another can of outdated food, remember that you will be fully conscious for every bit of this symptom timeline from the first tick of discovery, to final tick of demise. Because it can contain the bacteria that causes infant botulism, babies under twelves months of age should NOT consume raw honey. Honey is safe for those who are over the age of one year. If the first thing that springs to your mind is antibiotics, think again. Antibiotics are useless in the face of botulism. Even more concerning, is that the Food and Drug Administration (FDA) has yet to approve an effective botulism vaccine, but they are getting really close (thank goodness). So, when it comes to the treatment of botulism, it seems that a four stage treatment plan is the answer that suites a number of varying medical sources. Every bit of research I conducted on the topic of treating botulism (and it was a lot) comes down to this four part list of tactics below. Check out the Mayo Clinic, which to me seemed to be the easiest to understand and follow in terms of treating a person who has contracted botulism. For Foodborne botulism, doctors attempt to empty the digestive system by inducing vomiting and introducing enemas. For botulism wounds, usually a surgical treatment is required to remove the contaminated area(s). Antitoxins (made from horse serum) are used if the diagnosis is early enough. These injections are going to reduce the risk of further damage, but cannot reverse the damage that has already been done by the attack. The antitoxin simply attaches itself to the nerve endings which keeps the botulism from having access to further damaging them. NOTE: These antitoxins are never given to infants, a special botulism immune globulin is given to infected babies. Artificial breathing will be used to the keep oxygen supply flowing through to the body. In cases where mechanical ventilation is used, the treatment generally has to be maintained for several weeks until the effects of the botulism toxins reduces. Physical therapy / rehabilitation therapy will be needed as the body recovers from the brutal damage caused by botulism. Therapy to help regain speech, the ability to swallow and any other affected functions may be needed. Most of the medical resources I studied make it clear that "bouncing back" following a bout with botulism is not likely to occur. It can take weeks in mild cases, months in bad cases, and sometimes years of rehabilitation in severe cases to recover fully. The best hope for an acceptable recovery is ultimately in the timing; catching the symptoms of botulism as early as possible can make all of the difference in just how soon (if at all) you will be likely to return to your normal life. This is one of those situations where medical attention is a true emergency endeavor. Muller (a German Physician) names botulism after the Latin word for sausage. Clostridium botulinum bacteria is first isolated. A neurotoxin clostridium botulinum bacteria produces is isolated by Dr. Edward Schantz. The toxin (BoNT-A) was discovered to block neuromuscular transmissions. Botulism is used to treat strabismus (deviation of the eyes) by Dr. Scott. BoNT-A (BOTOX) gets approved by FDA as treatment for strabismus, blepharospasms, & hemifacial spams in young people. BOTOX approved by FDA to treat wrinkles and age lines. Even as a historical death toll teaches us that the painful condition caused by this tiny bacterial spore can wipe us out (60% of those stricken with botulism will die if they are not given access to a mechanical ventilator in time), humans still persevere. The loss of life has been most apparent since the mass marketing of processed foods in the 1950s. When an outbreak does pop up, it generally comes from the same source, and most likely from a canning facility, or your favorite restaurant. As many as three lives are taken at the hands of botulism annually in the United States alone. But, the main culprit when it comes to foodborne botulism, begins with your homemade (low acidic) preserves and canning goods, and the picnic basket you packed for this summer's outdoor get together. Have you been tempted to eat out-dated canned goods? Sure, we eat them all the time. Yes, but it always makes me feel uneasy. Yes, in these buget minded times, the date on a can has less meaning to me. Yes I have. And I paid the price by getting really sick! No way! Botulism is one bad bug I never want to tempt! I know of someone who contracted botulism and they are not the same because of it. I learned more here than I ever knew I wanted to learn! :) Thankfully we don't really eat canned foods in my house. We stick to fresh or frozen for the most part. However, on that rare occasion, I will most definitely be checking those dates! We have gotten so well educated that the simple things that any farm kid would know 40 years ago have become new information. I must admit ,though I've always been scared of botulism, until today I didn't know the symptoms of botulism. Great reminder of the food safety mom drilled into my pointy little head. If the top of the can is bulging throw it out regardless of the date. Don't eat anything in grandma's cellar. Wash all your fruits and vegetables before you eat them. Cook everything well and never leave homemade mayonnaise out of the refrigerator. I have noticed a upswing in mayonnaise recipes in the new paper. There was one in the food news this week. What an eye-opener. I will definitely be checking all my cans. Another reader-friendly hub Indie. Truly a great read and so important for everyone to read. I always check my food before buying anything and eating it. However, my fiance's family has shelves and shelves of outdated canned goods, baking ingredients, and boxed dinners. I find it quite gross, and after reading this a little scary. Definitely will be watching what I eat with a much closer eye at his place. So many interesting facts in this one! I have to say the one that impressed me ... one I really didn't know ... was about honey for infants. I knew it was recently said not to give honey to those under one but didn't know why! Another source of danger (maybe not botulism) is the top of a soda can. Always, always wash it off and never drink out of the can. Voted up, useful and interesting plus I like the way you wrote this making it easy to read. Omigosh! This is quite terrifying... if I remember nothing from this hub but the Stephen-King-esque bit on paralysis, THAT will have me checking the dates on cans. Thanks, K9! Voted useful and UP! @cclitgirl~ I think because of the acidic nature of tomatoes, they pose less risk than some of their more neutral or non-acidic cohorts (like you guys, though, I always go the extra mile with them as well!). You and your hubby are a very smart for practicing such superior cleanliness practices with your canning endeavors! (I bet your home canned goods are amazing!) More home canned foods cause botulism than people think, but it sounds as if you guys are pretty safe! Thanks for commenting on the illustrations, they make me very happy to create. @Bobki606~Thank you very much, I am thrilled you enjoyed the hub. 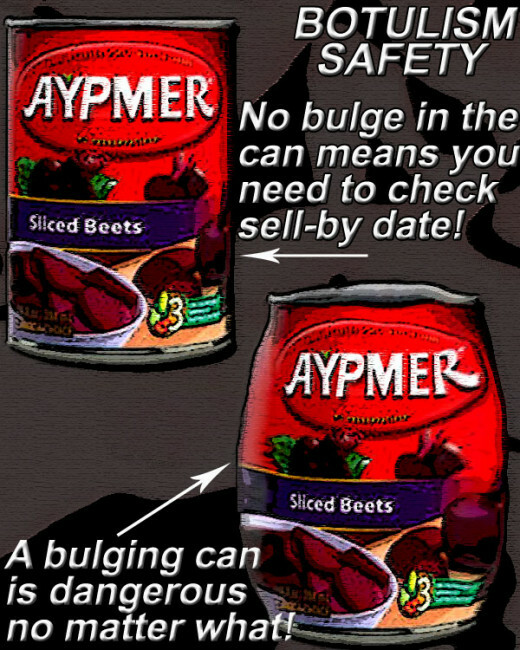 You are very smart for checking those sell-by dates on every can of food! Thank you for your comments! Whoa! Nasty stuff! Last year my husband and I canned tomatoes for the first time. You don't have to have a pressure canner for that. I was still scared, though. I mean, I didn't want to kill myself, LOL. So, we boiled everything longer than it said, and were super-extra-careful to be scrupulously clean in the process. I was still scared. This is a comprehensive, BEAUTIFUL hub, though. Your illustrations are fantastic, the grammar and words are perfect - it's just a great read! Thanks for sharing this! This is a brilliant Hub. I enjoyed watching the video about food safety. I never knew that botulism was so dangerous. I'm now going to go check all my cans for damage and their expiry dates!